News Bytes has evolved into a fully functional website after about eighteen months of news blogging. 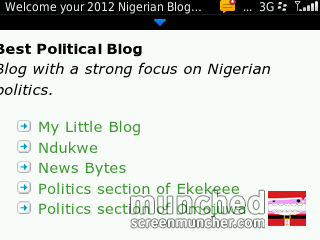 In that period, you proudly voted us the BEST POLITICAL BLOG in the Nigerian Blog Awards 2012. 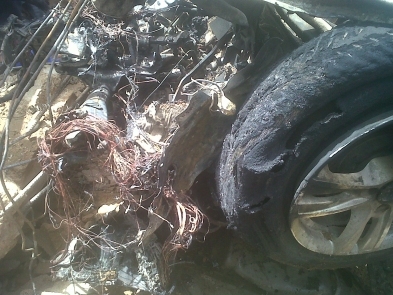 To this end, our wonderful subscribers are enjoined to enjoy much more fresh authentic, robust news breaks at www.newsbytesnow.com (same address but equipped better to serve you more). Please endeavour to subscribe and receive news breaks via email at www.newsbytesnow.com. It’s fast and simple, just input your email at the space provided on the sidebar at our new website. Note: To make it up to email subscribers, who have missed our news packages in the past few weeks as a result of this migration, feel free to send your email to us to subscribe for you. Please ensure you confirm once an email is sent to you so to do, that completes the process. The BBC has apologised after one of its radio stations followed a report about Paralympics star Oscar Pistorius court hearing with a man shooting his girlfriend. The bulletin on the digital station Radio 6 Music on Tuesday was followed by the Jimi Hendrix Experience’s version of Hey Joe. The song begins: “Hey Joe, where you going with that gun in your hand? I’m going out to shoot my old lady, you know I caught her messing around with another man”. South African athlete Pistorius was in court in Pretoria on Tuesday for a bail hearing on charges he murdered his girlfriend Reeva Steenkamp on Valentine’s Day. Two news co-anchors surprised their co-workers, their audience and their bosses when they tendered their resignation live on-air. Former co-anchors Cindy Michaels and Tony Consiglio announced that they were quitting at the end of Tuesday’s 6 p.m. newscast on Bangor, Maine’s ABC affiliate station WVII. Prior to the statement, they had not told anyone else of their plans. They later cited frustration with their management. Michaels told Bangor Daily News that they thought if they had resigned off air, they would have not been allowed to say goodbye to their viewers. 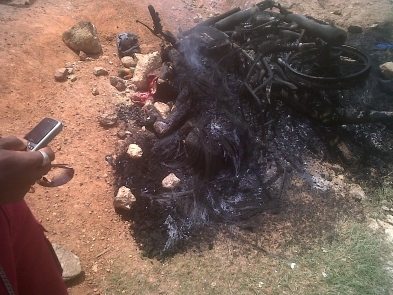 They said they had been frustrated over the last four years about how they were instructed to do their jobs. Their boss said Wednesday they had been on their way out the door anyway. 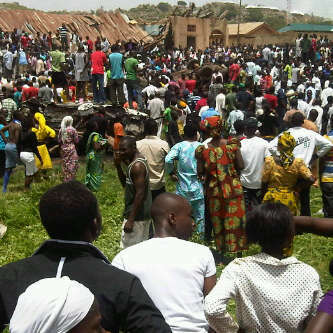 He said he was not surprised by the action they took. Palmer denied to the Bangor Daily News that upper management was involved in daily production. But he said he had received about 20 applications for their jobs after posting them Tuesday night on an industry website. “I’ve had people from all over the country send resumes and audition reels,” Palmer said. WVII and another station Palmer manages, Fox affiliate WFVX, have made headlines before. In 2006, The New York Times reported that Palmer prohibited his staff from doing stories on global warming. Consiglio, 28, started with WVII as a sports reporter in April 2006. Michaels, 46, was the news director and spent six years at the station. 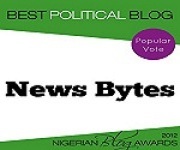 News Bytes has emerged the ‘Best Political Blog 2012’ in the just-concluded Nigerian Media Blogs Awards. 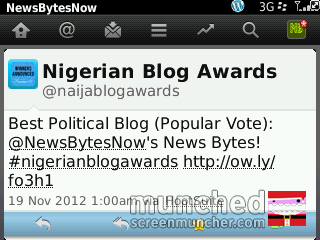 The organisers, Nigerian Blog Awards announced this via Twitter in the wee hours of Monday November 19, 2012. Meanwhile, congratulatory messages has started pouring in for News Bytes from across the globe for this feat, one that many consider commendable since News Bytes got the recognition barely nine months of starting the prompt dissemination of social media-driven news service. News Bytes, an initiative that began January 31st 2012 had the vision to inform and educate the young and old, the low, middle and upper class, those in government and the governed alike, wherever they are. platforms – Twitter, Facebook page, E-mail, Blackberry phones, Google + etc – dedicated the award to God and expressed their profound appreciation to all their subscribers and many who voted, for their support. “The award is indeed an encouragement and a call to serve more” the leader of the News Bytes team said on their Twitter handle (@newsbytesnow and @newsbytesalert). The team revealed that a lot more service is in the kitty and will be unveiled soon, so as to bring current affairs and news updates to its fast-growing network of subscribers. News Bytes, a free news service that prides itself in the authenticity, freshness and robustness of their service makes up-to-date information available to thousands with a view to strengthening democracy, and also to advance the socio-economic well-being and the rights of the people, promote and enrich cultural practices, advocate best practices, good governance, transparency and human rights. 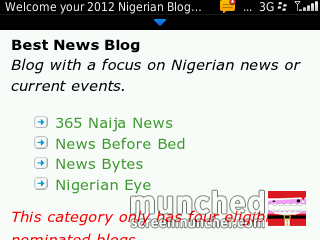 Since inception, about 500, 000 visitors has graced the blog (www.newsbytesnow.com) with visits, comments and enquiries. Over 200 bloggers also follow the blog, and about 6,000 have also subscribed by email according to statistics made available on Monday November 19. Although the Best Political Blog award recognises the contribution of the News Bytes blog, news breaks are also circulated via mobile phones, e-mails and other IT applications and social media. The team revealed that the 3 blackberry phones with which news breaks are been circulated promptly are already filled with BBM contacts but assured that more phones will be added soon in order to accommodate many more subscribers. The nominations, voting and results for the awards conducted online since the it began three years ago has been promised to be live events in subsequent years, according to the organisers, Nigerian Media Blog Awards. 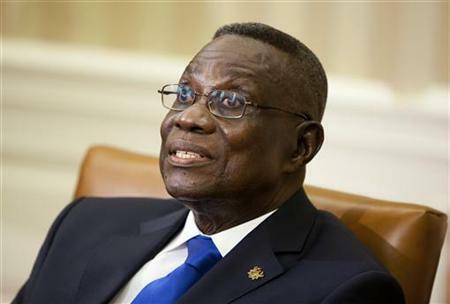 Ghana’s President John Atta Mills has died unexpectedly, a presidential statement said, and an aide said his death occurred on Tuesday after he took ill on Monday night. 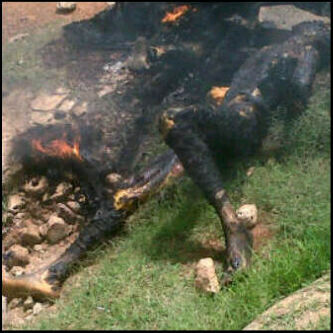 The death of the president of the world’s No. 2 cocoa grower comes months before Mills was due to stand for re-election at the helm of the West African country that posted double-digit growth in 2011 and has been praised for its strong democracy in a turbulent region. “It is with a heavy heart…that we announce the sudden and untimely death of the president of the Republic of Ghana,” a statement sent to Reuters by the president’s office said. 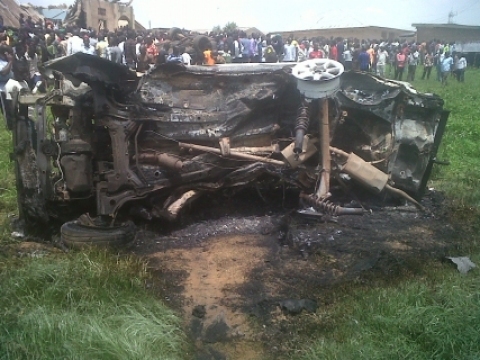 Images of Jos & Biu Explosions – Viewers discretion advised!